After an onslaught of online scams and data breaches made headline news last year, making your digital security a priority in 2019 is more than just a good idea – it’s a necessity. Luckily, a good password manager is the key to avoiding the unpleasantness of having your identity stolen. Weak passwords are widely considered to be the largest threat to your online security. In fact, according to the 2017 Data Breach Investigations Report for Verizon, 81 percent of company data breaches came as a direct result of weak passwords. To say that password integrity is important is a bit of an understatement. Thankfully, a password manager can make this first line of defense infinitely stronger. Not only do these services protect you from hackers who are looking to profit from your personal information, but they also make it quicker and easier for you to sign in to your various accounts. Now, you just have to decide which one is best for you. We’ve collected some of the best password managers for Android users, so you don’t have to do all the research yourself. Check them out below, and make your online life more secure than ever. 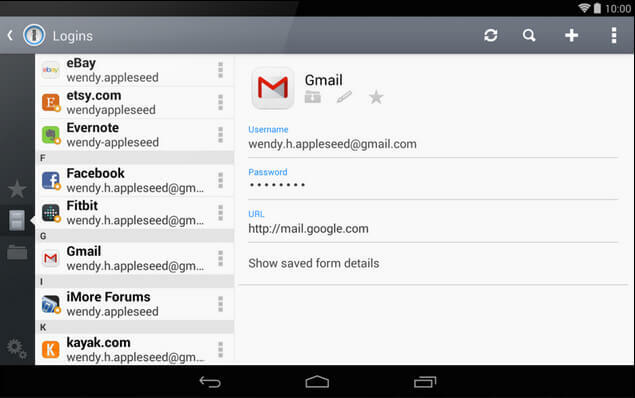 What Are the Best Password Manager Apps for Android? Understanding the basic features, benefits, and downfalls of each password manager is the best way to make the right decision. Whether you’re looking for a feature-heavy juggernaut or an affordable, stripped back service, there are password managers out there that fit your needs – you just need to know where to look. Comprehensive tables are great for checking out the basics of a password manager before you buy. But if you really want the dirty details on these services, take a closer look at our specific reviews for each one before you make a decision. Every list needs a number one, and 1Password deserves its place at the top of the pile. This password manager can be used as a desktop program, a mobile app, and a browser plug-in, making it easier to access your accounts securely. It’s as simple as accessing the page, clicking the 1Password logo, and selecting which login credentials you need to get into your account. 1Password’s impressive reviews are likely a result of its decidedly easy-to-use platform. In addition to that simple login function, the user interface is clean and crisp, and makes using its additional features as easy as possible. Speaking of additional features, 1Password also lets you set up multiple “vaults” where you can store passwords for specific users, as well as passports, driver’s licenses, and any other important documents that might require an added layer of protection. As far as price is concerned, 1Password is certainly not expensive. Individuals can get started for as little as $36 per year, or opt for the family-oriented plan that allows up to five users for $60 per year. You’ll also find a couple of options for business accounts, priced at $3.99 or $7.99 per user per month. This will depend on which added features you’re interested in, such as unlimited storage. However, 1Password does not provide an ongoing free version of its service, which is unusual for a password manager. Luckily, you do have access to a free 30-day trial to make sure that 1Password fits with your particular needs. Check out our full 1Password review for more information. If you’re looking for a heavy-duty, feature-rich password manager – and don’t mind shelling out a few extra bucks – Dashlane is a pretty great option. It’s more than secure enough for what you might need it to protect, while its simple login process makes online privacy surprisingly easy. You’ll need to input a master password to access your accounts, which is as easy as pressing the Dashlane logo. You’ll also need to include some personal information, like your name, birthday, and phone number, which will be used to conveniently fill out online forms for you. The kicker? Dashlane is a bit more expensive than other competitors. With individual accounts running between $60 and $120 per year, costs can get pretty steep if you need the premium plan. Dashlane does have a free option, although its limited functionality would make it difficult to manage all of your accounts. Check out our full Dashlane review for more information. When it comes to protecting your personal information online, you might not want loads of flashy features – you might just want a no-nonsense password manager that improves the security of all your online accounts. If that’s the case, LastPass is the password manager for you. What LastPass lacks in features, it makes up for in ease of use. 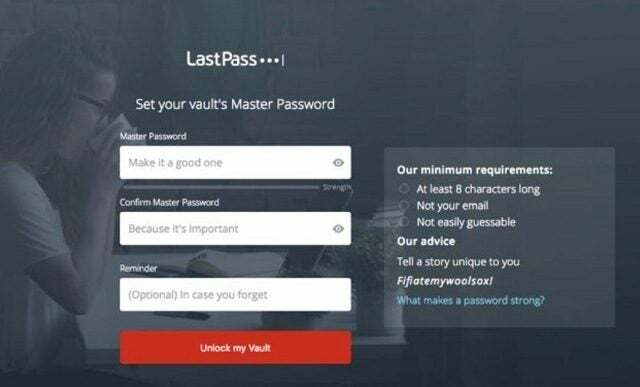 After logging into LastPass with your master password, you’ll be able to see a catalog of your accounts, giving you access to all your login credentials. When you visit one of these sites, LastPass will auto-fill the information, or simply make it available to you. Just because LastPass doesn’t have a lot of added features, this isn’t to say it has nothing else to offer. With the password generator tool, you’ll be able to make sure that your first line of online defense is a strong one. Unfortunately, connectivity issues can causes problems for saved passwords, so make sure you’ve got a good connection. When it comes to price, LastPass is a lot more competitive. With a solid free option, individual plans as low as $24 per year, and family plans with six accounts costing as little as $48 per year, it’s hard to beat LastPass when it comes to affordability. Check out our full LastPass review for more information. Affordability and online security don’t always go hand in hand, but StickyPassword makes it happen. This basic service will allow you to store all your passwords in one place, without having to worry about hackers getting hold of your personal information. With a single click, you’ll be able to log in to any of the accounts you’ve input into StickyPassword. No additional typing, and no scrambling to remember which letter you replaced with a number to trick the hackers. All you have to do is be logged in, and you’re on your way. In addition to managing your passwords, StickyPassword provides a comprehensive security dashboard that allows you to test your password strength, enter additional identities, and even transfer passwords via flash memory device. It even provides a number of customizable features that can make securing your passwords more suited to your needs. StickyPassword isn’t the most affordable service on the list, but it’s pretty close. Individual accounts will run you $30 per year, with a unique lifetime option available for $120 outright. Check out our full Sticky Password review for more information. If you’re worried about the logistics of using a password manager on an Android device, have no fear. As with most software, functionality between iOS and Android for password managers is virtually indistinguishable. If you’re still concerned, though, we’ll give you a quick overview of exactly how a password manager works on an Android device. First off, you need to create your master password. Some services require lengthy, elaborate passwords, while others won’t be much longer than a PIN code. This master password will give you access to your account. Once inside, you’ll log in to a variety of sites through the password manager, thereby storing them within the service for later use. You’ll likely input some personal information as well, which can be used to auto-fill forms. Once you’ve got your accounts set up, browsing the internet is easier than ever. 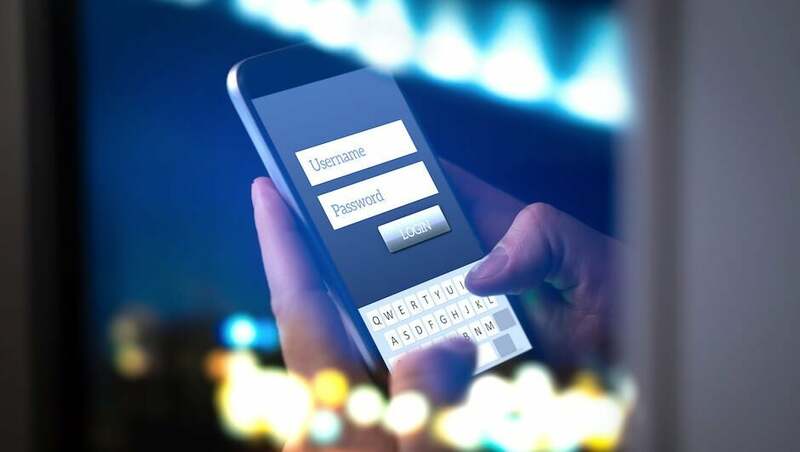 Rather than remembering and typing in passwords for each separate account, you’ll be prompted to take advantage of your new service, automatically logging you in. You’ll be securely protected online, and able to enjoy the convenience of one-click logins.